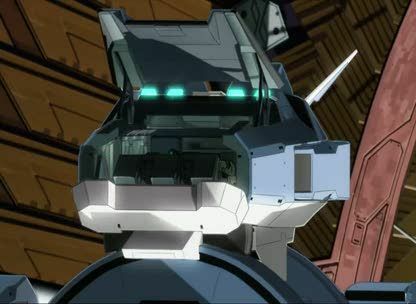 Watch anime online, stream anime episodes online for free.Watch Mobile Suit Gundam 00 season 1 Episode 9 English version online and free episodes. Anime Episode guide, Chapter Mobile Suit Gundam 00 season 1 Episode 9 English dubbed The Honor of a Great Power.Four months since Celestial Being’s first intervention, the Gundam Meisters have been involved in over sixty intervention operations; as the world begins to change around them, the crew aboard the Ptolemeios and the Gundam Meisters have some time to themselves. Lockon and crew member Feldt Grace reveal Celestial Being and the Meisters have a far older history than originally thought. In Azadistan, a United Nations delegation is led by UN envoy Alejandro Corner to meet with Marina and other Azadistani officials. The HRL releases a web of comm detection devices to find the Gundams in space, catching the crew of the Ptolemeios off-guard. Ill-prepared for the attack, the Gundams and the crew of the Ptolemeios launch an offensive; Sumeragi matches wits against Sergei and a battle ensues around the Solar Satellites System.